Sherlock Holmes: A Game of Shadows hits theatres in three week! Once again, Robert Downey Jr. plays the ever resourceful Sherlock Holmes with Jude Law as Dr. John Watson. However, before you watch the movie, why not read about the Boy Sherlock Holmes first? Summer 1869, and Sherlock Holmes and his friend Irene celebrate her sixteenth birthday by attending the theater to watch a celebrated magician make a real dragon appear on stage. It is the London sensation. Sherlock and Irene meet the magician, Alistair Hemsworth – just as he is arrested for the murder of his rival, The Wizard of Nottingham. Is Hemsworth guilty? Sherlock has his doubts, and soon, so does the reader. We’ll pick a winner and announce it here on December 8, 2011. UPDATE: Congratulations to Sean Pynaert! Thanks for the giveaway! I’m currently reading the fifth book of this series and enjoying it, though I haven’t read the others yet. I wouldn’t say that Sherlock Holmes is a traditional superhero, as he has no superpowers such as those of Superman, Spiderman, etc. However, I would say that he is the first intellectual superhero, using his knowledge and mental prowess in the pursuit of justice to capture the “bad guys.” Really, these intellectual superheroes, including all famous detectives like Holmes, Hercule Poirot, and the Boy Holmes’ favorite, Inspector Bucket, are better than the superheroes of comics because they are realistic, characters whose skills can be modeled by actual people in real-life pursuits of justice. What a great giveaway! I’m a fan of Dragon Turn and would love to read the rest of the series! I definitely think Sherlock Holmes was a superhero. I agree with Susanna that, unlike Superman and the traditional muscle bound superheroes, Sherlock Holmes was an intellectual superhero. His deductions were definitely far beyond the ordinary, especially at the time. He’s also a creative hero, with all his genius disguises, and he even knew martial arts! WOW! Amazing giveaway. Thank you. Hmmm, I didn’t realize he was thought of as one of the first super heroes. He doesn’t sit in my head that way. I read him endlessly when I was 12/13 and also read Superman, Spiderman and many other superhero comics and I thought of him more along the lines as a super detective like Susanna mentions, above. But that boils down to my definition of superhero-super powers, able to fly, lift buildings, freeze “stuff”, lol. Of course, now you have me thinking–Sherlock Holmes has a super brain, good book talk material. I have to disagree. I don’t feel that he is in the same category as superheroes from comic books. This set of book are an amazing giveaway! My son would love them thank you! This giveaway looks great and I would love to read a series that is based off of the original content by Sir Arthur Conan Doyle. I read the original stories he wrote and my favorite one is “the Speckled Band”. The Punisher, Batman, and Nightwing who are considered superheroes and have no powers. The same goes with identity. If that is the case, why does everyone in New York City know the true identities of the Avengers (Captain America, Iron Man, The Hulk, Thor, etc.). In that light, it does make sense to call Sherlock Holmes a superhero since he fits the criterion for superhero in today’s view. He does defend the weak and go against tyranny in some fashion, he does have a costume and skills usually being his detective outfit, his noose, and his deductive reasoning and analytical prowess. He doesn’t have superpowers and no secret identity but that was all explained in the second paragraph. Finally, he has a purpose on why he is a superhero which is usually the main factor why a person is a superhero in the first place. I will say he might be the first “recognized” superhero in literature as in being named a superhero but he may not be the true first. A prince saving a princess by fighting a dragon can be classified as a superhero right? I would love to read these and share them with my daughter. She loves mysteries. I also never thought of Sherlock Holmes as a traditional superhero. Superheroes usually have alter-egos and super powers. I would compare him with the likes of Encyclopedia Brown, Nancy Drew, and the Hardy Boys, sleuths I grew up with. McGyver is another character that comes to mind. 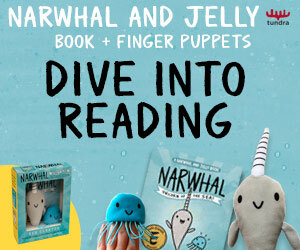 Oh this is an amazing giveaway! I’ve read the first two, and have passed them on to my 13 old nephew. He’s an avid reader and is almost done with the first book. If I do win this, I’ll actually be giving the hardcovers to him for Christmas! It would be a fantastic present. I definitely agree that Sherlock Holmes could be considered the first superhero. While we traditionally think of superheroes as larger-than-life figures with some special talent, there are those who use their intellect and the tools available to them to help others. Batman’s tools are of the electronic gadgetry type, and Holmes’ are his intellect and deductive skills. Yes I think that Sherlock Holmes was a super sleuth. I would love to have these to give to my grandson for Christmas. superhero! Hmm, never thought of him that way. He did have a terrific mind, so I think that could be construed as super. I have been wanting to read these since hearing Shane read lasr year at Eden Mills. Great prize pack – I never thought of Sherlock as a superhero, as he does not have any physical powers – like seeing through walls, or flying, or jumping over a building in a single bound. But, he did have super deduction skills, and intelligence – maybe for the time period, he could be considered as a hero that was super. In a way he is – he’s all about justice and even though he’s not the police he’s determined to get it. He’s like Batman without the gadgets and violence! I love this series and would love to win this amazing giveaway! Now that I think about it, I would definitely consider Sherlock Holmes to be an ‘original superhero’. He’s intellectual sleuth that isn’t afraid of the dangerous and dark side of the mysteries he solves. Thank you very much for the very generous giveaway. I always loved Sherlok holmes and I am sure this series is equally as adventurous. I would love to win this prize pack. Sure I’d call him a superhero. Nonone else seemed to have the powers of sight and deduction that sherlock had. To solve a crime by just paying really close attention to everything surrounding him was not something which most people could do. Sherlock is a superior super hero because he uses his brain instead of super powers unlike other super heroes. My Sherlock Holmes obsessed son says, “Definitely. Sherlock Holmes was the first to go around helping people using his extraordinary talents to solve mysteries. That’s what superheroes do. Help people.” I agree. No …I think the first superhero would have to be Achilles or Hercules….but I think he was the first great detective and set the pattern for all the wonderful mysteries we have enjoyed since. Never read this series, but I am a fan of Sherlock Holmes. Yes, I would say that he is a super hero because he has been around a lot longer than any other super hero that I know about. Except for our war verterans, of course. They have been around a lot longer. He might not have super ability, but his brain, but he solves crimes and keep criminals off the street. Isnt that a hero?? Great giveaway!!! Yes Sherlock is def one of the first heroes! I grew up reading Doyle’s Sherlock Holmes stories. Now there is an opportunity for my grandchildren to grow up reading a new series of young Sherlock Holmes stories. I would love to win this set of books to share with a new generation. I was prepared to say, no, not a superhero. But I like the intellectual angle…I hadn’t thought of it!! Lol. I honestly never gave the subject much thought, but considering I would say yes. Sherlock Holmes can very well be considered a superhero in his own right. There is no doubt in my mind – yes, he was a superhero, but ‘way out there in a class of his own. This is exactly the sort of reading I love. I wouldn’t really call Sherlock Homes a superhero, what exactly is his super power a great mind? Where is his cool super hero costume lol I like the costumes. But he is smart guy and very interesting and amazing what he can do with evidence. Sherlock holmes doesn’t seem to quite be what i consider a super hero: somebody in the public eye for good deeds, does beyond human feats , and has some super human power. thus making him not quite a super hero but maybe a hero. he may be heroic at times but i wouldn’t call him a superhero. I think that Sherlock and ‘modern’ day superheros fall into two different categories. This looks like an amazing set of books! Thank you for the contest! Congratulations, please check your inbox for an e-mail from us! Thanks sooooo much! These will be perfect for my teenaged son! I definitely think that Sherlock Holmes was the first untraditional superhero. He did not have a cape or any supernatural powers but he could do what others could not… catch the criminal. Whereever one else failed he succeeded. The series sounds entertaining, and I’m always up for a good giveaway. As far as Holmes being a “superhero?” Well, perhaps not so much, but certainly somewhat. He’s more of a hero on the order of, say, Batman or The Green Hornet. He doesn’t leap tall buildings in a single bound, but has the ability to connect seemingly insignificant pieces of information into a cohesive whole, seeing the story in disparate signs that most people overlook. My profession does not allow me to post directly identifying information online, but will provide in the event I am the lucky winner. I have always been a fan of Sherlock Homes. I grow up reading all of Sherlock Homes Books. read about him. He is a great hero. Hm . . . no, I don’t think of Sherlock Holmes as a superhero. Actually, he’s better than a superhero because he doesn’t need super powers to solve his cases . . . he uses his brain! I do think think of Holmes as a super intellect. As for characters from the superhero genre he remains me of, Dresden and Dr. Strange come to mind, as they are ordinary humans who have become wizards through study and brain power. No , he’s no superhero, he does have a good (not super) intellect and the abilities to solve puzzles and analyse problems that all good detectives require. I guess you could categorise those at least as superior abilities in his case. I think that using the term Super hero might not be it for Sherlock Holmes. Super heros come with super powers and this would not be the case for Sherlock! I believe that a man with such grandieur and classic style could be seen as an idol in his time! A celebrity! The one you want to see and be seen with! A great man! A great mind! Firstly, this is such a cool giveaway. I mean, my mom told me about this and I had to wonder why she would be looking at books for younger teens, then I read more about them. What a great thing to write about. Sherlock Holmes was very intelligent but had no super powers. If one defines superheroes as having superhuman powers, then Sherlock wasn’t one. If a superhero is a person who: does something outstanding, works for the good of people, and is a role model, then Sherlock was one. He was well known and loved in stories and is still today. Beloved characters transcend time as your series proves. Sherlock remains the best-known detective of all time, despite the myriad detective and crime books in circulation. Ooh, great giveaway! I actually read book three once upon a time so restarting the series at the beginning and then moving further in his adventures sounds good to me! Count me in. As for Sherlock Holmes being the first super hero…I can’t say I agree. Hero? Maybe. But SUPER hero? Nope. His sleauthing skills make him top notch and he does have an uncanny ability to discern the truth from rather perplexing situations but those are a combination of genetics, and hard learned (and well honed) skills. SUPER heroes are more for having super powers as in supernatural powers…things that can’t be explained normally. Great question! Thanks for the chance at this series…and happy reading! He’s possible the first hero, but not a super-hero, I think! What a great giveaway package–these books sound terrific! Like others here, I’ve never thought of Holmes as a super-hero, though he is a super-sleuth. While thinking of other novels first published around the same time as STUDY IN SCARLET, THE THREE MUSKETEERS came to mind. The musketeers strike me as “super-heroes” of sorts, because of all their swashbuckling, though their skills are quite different from Homes’. Oops–meant to include my email address in my comment: carmela [at] carmelamartino.com. Thanks for this amazing giveaway – what a great holiday idea! I definitely think Sherlock Holmes fits the category for first superhero. He may not have leaped tall buildings with a single bound but he certainly leaped to amazing conclusions based on very little evidence. His powers of deductive reasoning were far beyond those of the common mortal man, making him an intellectual superhero. He may not have worn a superhero costume but he dressed in disguise on a regular basis and, when he did, no one detected who he really was. And he solved crimes no one else could come close to solving. All this and more made him a superhero indeed! I really hope I win this giveaway! I’d love to review these novels on my web site and my nephew would love the paperbacks for Christmas! Yes, I do believe he was the first super hero. He just fought crimes in a different way. The fact that children still know who he is today shows that he is a super hero. I agree with the popular opinion here, that Sherlock Holmes is an intellectual superhero more than a “strength and powers” superhero. And as a teacher, I think any character that can get kids this excited about reading is a superhero indeed! 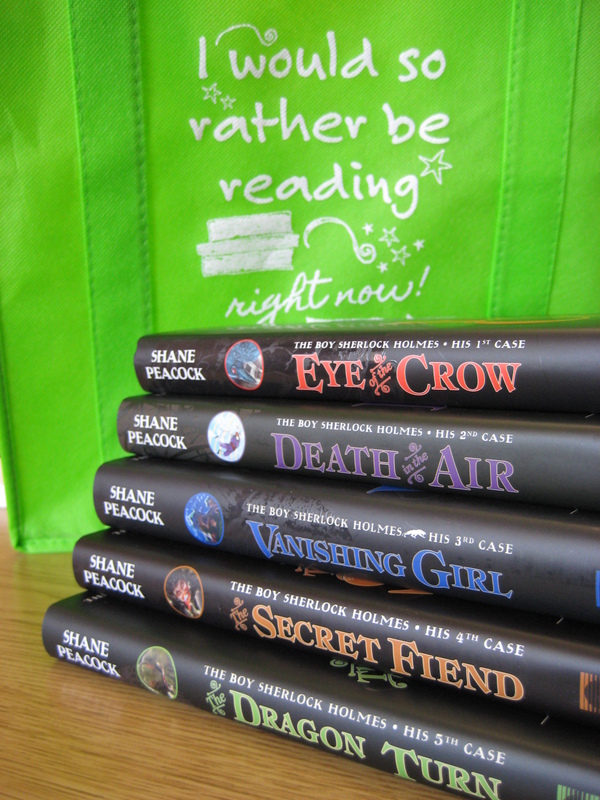 Thanks for this wonderful giveaway…..I have some 4th grade boys who would adore this series! I wouldn’t say that Sherlock Holmes was a superhero in the modern sense of the word, I can’t picture him in the same category as Batman or Spiderman, though he did wear tights a time or two. lol His intelligence and his stubbornness were his only powers but he used them to the fullest.